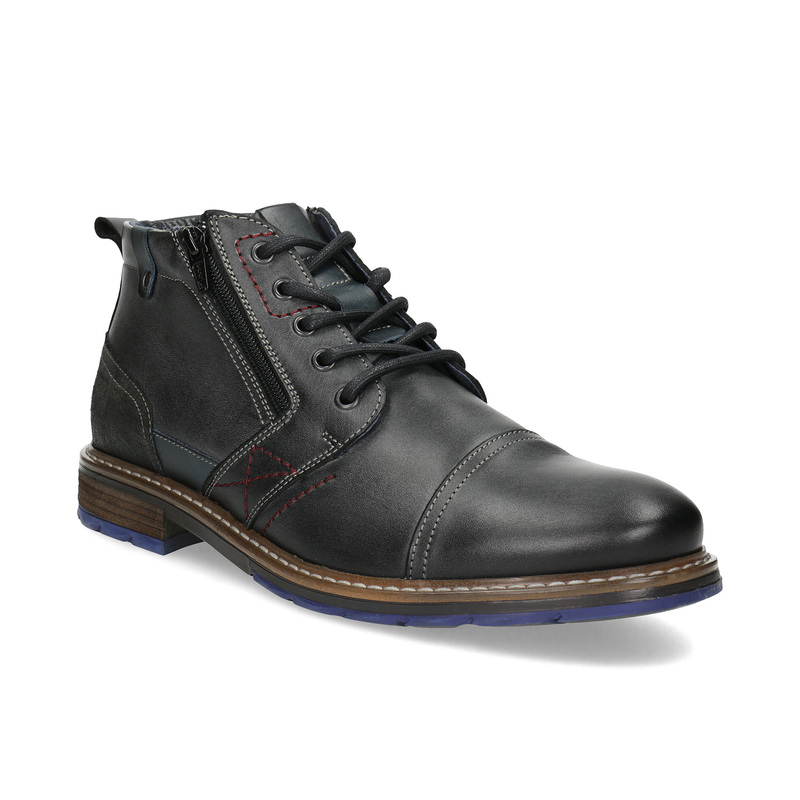 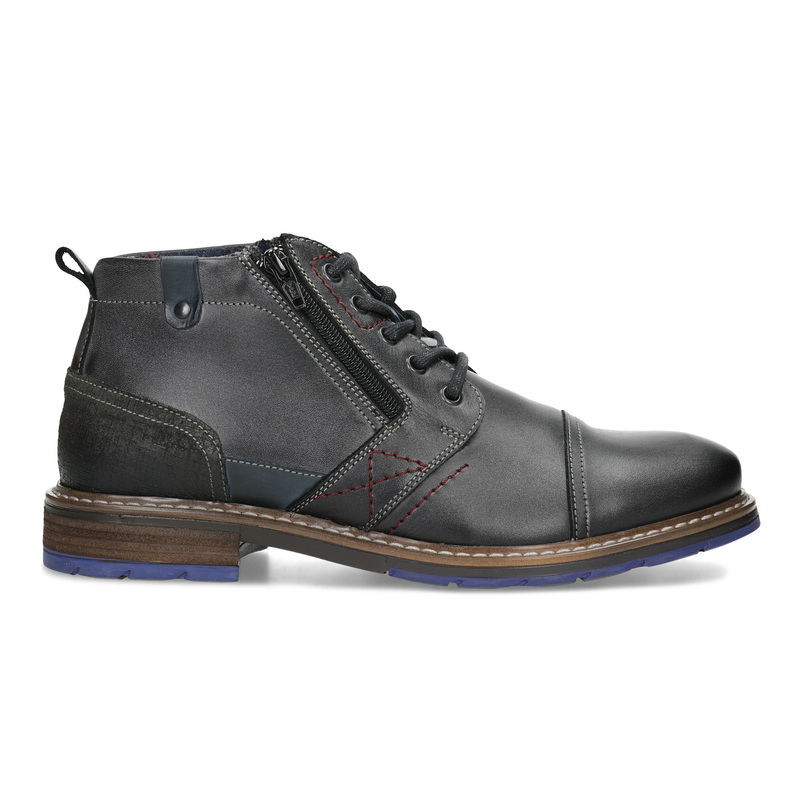 These above-the-ankle men’s winter boots capture attention at first sight with their unique design—the leather upper is decorated with broguing, eye-catching texturing, and bold stitching. 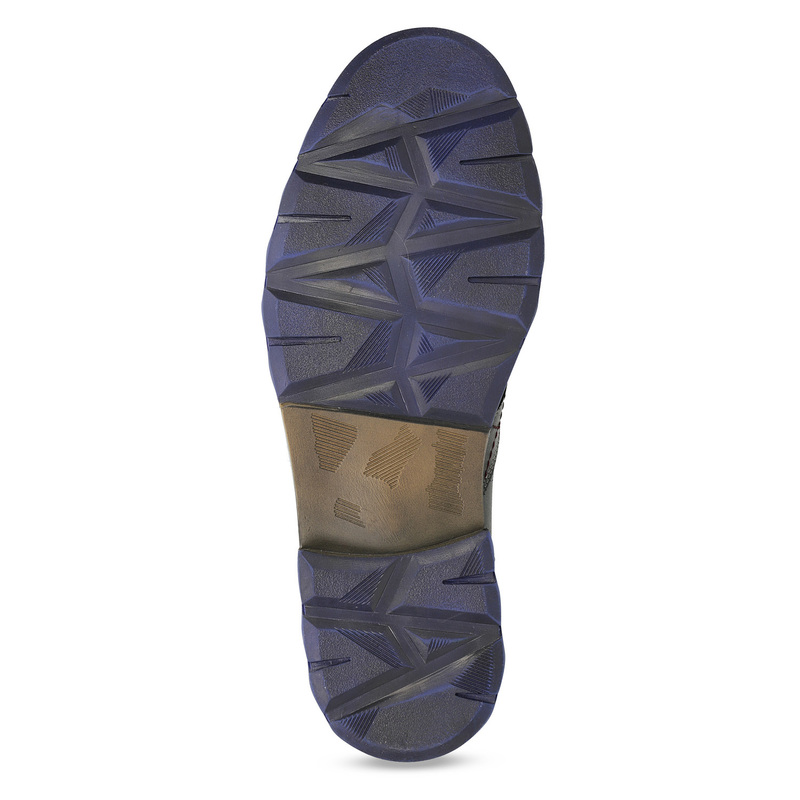 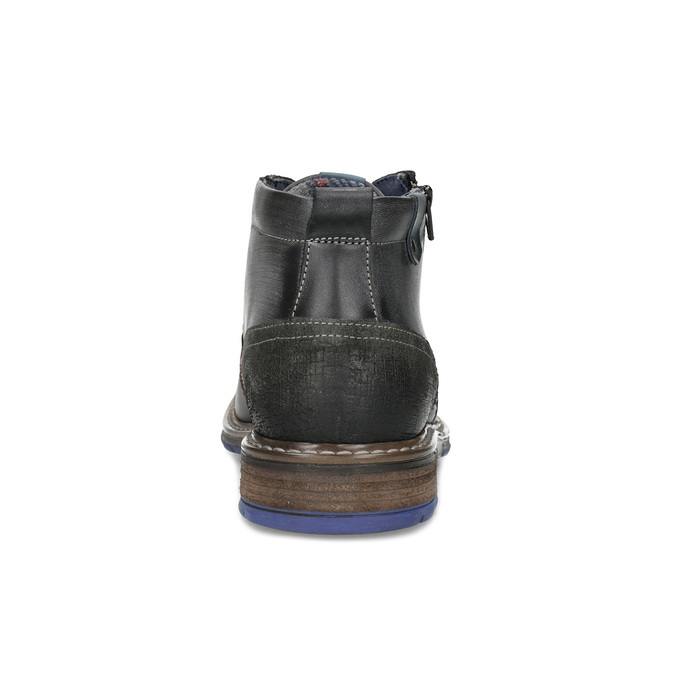 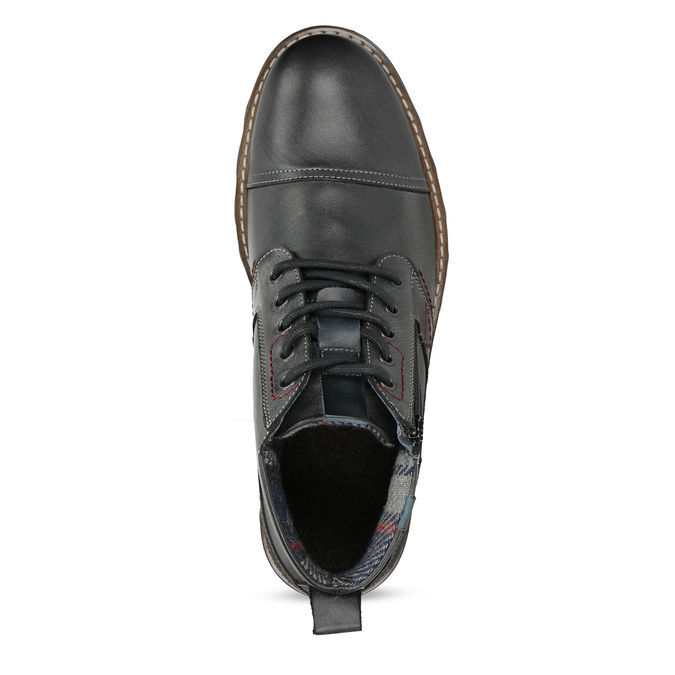 The comfortable sole is also hard to miss, combining natural tones with a youthful shade of blue. 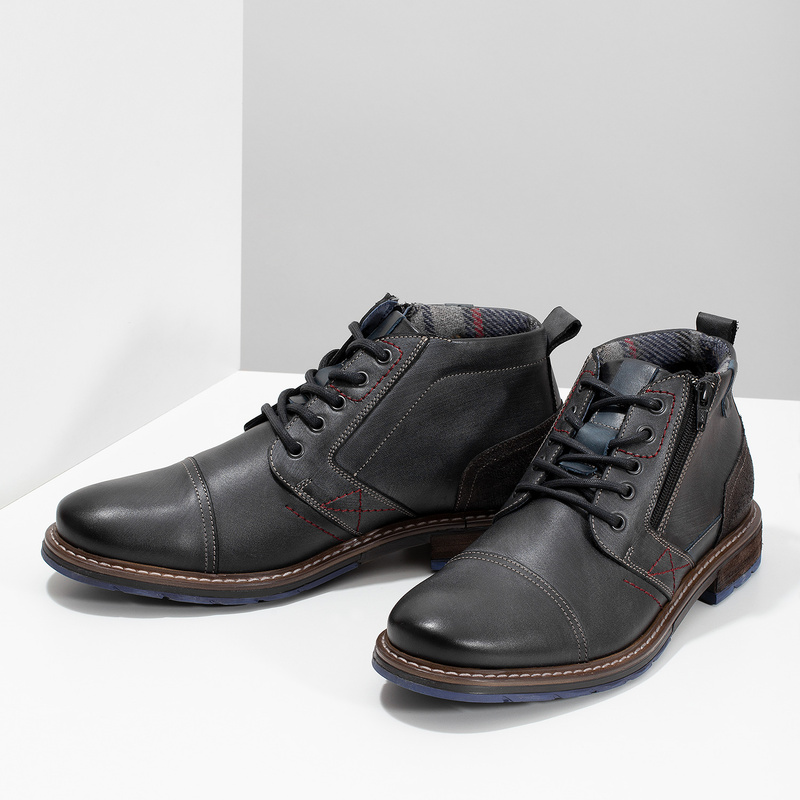 These boots simply beckon to be paired with a leather jacket and a tartan scarf.